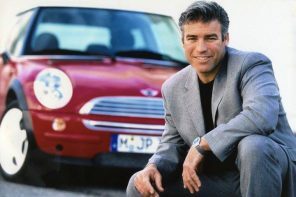 Yesterday we published part one of our interview with former Head of MINI Design Gert Hildebrand. We talked about the past, the design process and touched on number of questions that have been batted around here on MF over the years. 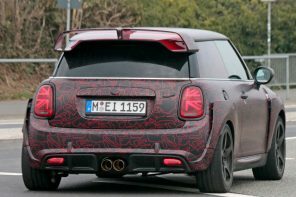 Today we get into the juicy stuff (in our opinion) with more talk about the present and future of the MINI brand as well as automotive design. 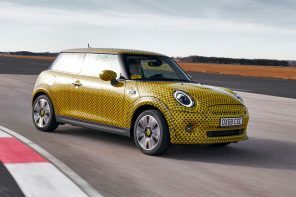 Oh and what will Gert be driving upon leaving MINI? It’s in there as well. Finally we also have a nice bonus gallery of Gert’s photos from MTTS after the break. 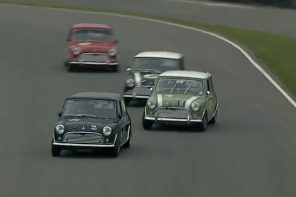 MotoringFile: I know this is cliched but we have to ask. 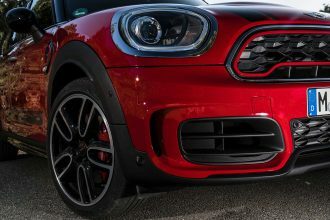 What is your biggest regret while at MINI? Is there anything you would have done differently? Gert Hildebrand: Looking back and regret makes never sense. It only may hurt. Nothing and no one is perfect, so there are a lot ofÂ MISSING IN ACTION cases. If you are not a corporate-man (which mostÂ designers are not) some of the grease to operate at management level might be missing. But on the other side it brings character to the product. Some more greaseâ€¦â€¦. ?Â NO I REGRET NOTHING! MF:: In the recent MINI Design book we saw first hand how big a part clay modeling and sketching are in the design process. 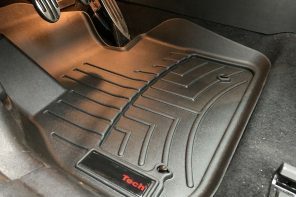 Tell us why you think this is (and was) important in the process of design cars and accessories. GH:: Craftsmanship can not be replaced by computers scanners milling machines and virtual machines. I believe very much in the creative process of HEAD (brain), HAND (tool), PAPER (material). 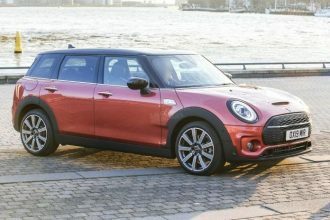 MF:: While readers at MotoringFile are excited about a number of new models, none quite compares to the upcoming MINI Coupe. 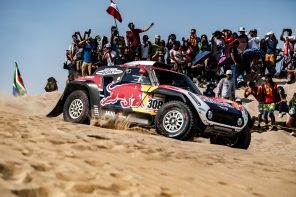 Is there anything you can tell us about the car and the ideas that inspired it? GH:: It was done in a very short (2 min) process between Marcus Syring and me in my office. The 5 scribbles you can see in my book. INTUITIONÂ is irreplaceable. 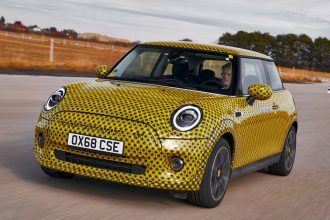 The fact that the coupe exists at all is purely by accident.Â We needed volume for the roadster so thought; what else could we do to help the business case? What other product could we produce on the same chassis?Â No brainwork but Â heart(hard) work!!………….. I asked Marcus for five proposals for the roof and picked one. Basta. 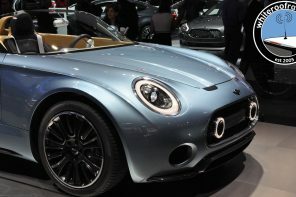 When the MINI COUPE/ROADSTER concepts were at the Frankfurt motor-show IAA 2009 everybody was easily convinced and management made a fast decision to produce them. So all went very well in the end. 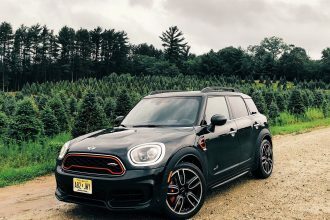 MF:: You attended MINI Takes the States this summer. Based on what you saw, how does the American market differ from Europe or the UK? 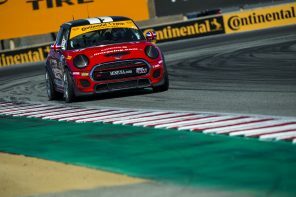 GH:: MINI owners are the same all over the world, enthusiastic, energetic friendly and COOL. The USA is special, because their was no classic MINI market and scene from the 1959-2000.Â So all the community is new and made their decision on the NEW MINI and learned and lived with the MINI VIRUS only over the past 10 years. I was overwhelmed from the openness and friendliness of the MTTS participants but also nearly killed by the demands on me to answer questions, sign books and take photos together with one and the other.Â I’m still recovering! 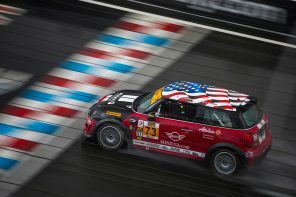 We at MINI are very very proud that our little baby â€took the statesâ€ which such equal parts love and acceptance. 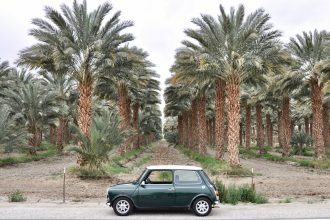 The 10 days through the western part of the US (from San Francisco to Denver) was a lifetime of experience from the people, the landscape, the culture and the cars point of view.Â MINI fits aesthetically ideal to this country, and the first time that I drifted a COUNTRYMAN on a gravel road was in the Red Montana mountainsÂ goingÂ to Winterpark. It was here that I saw one of my favorite US structures, the Moffat tunnel, which I had seen a lot of in books and magazines. Yes, I am a train-fanatic as well! 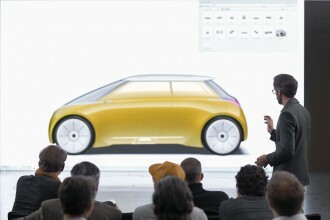 MF:: Where do you, personally, see automobile design headed. 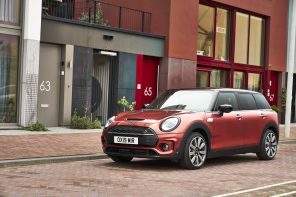 Toward smaller, more efficient cars or elsewhere? GH:: The whole car industry is changed a lot because of new players.Â 15 years ago all was very much set.Â The triadÂ of the America-Europe-Asia gamble was fixed with each of their markets having (roughly) three big players.Â But the American industry was nearly collapsing and with the KCI states Korea/China/India playing a major role now. Both as markets and as producers and owners of proper brands is all a new game. 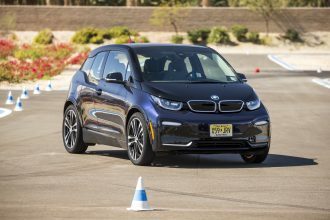 As years go by driving cars will become moreÂ expensive through energy-cost, traffic limitations. Our mobility behavior will change and the intrinsic value of beauty and ownership combined with a sustainable behavior will play a bigger role.Â So long living design, beauty, the satisfaction of ownership (which I call the â€hedonistic rudimentâ€)Â will count more and more. 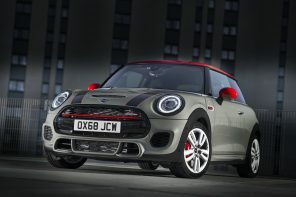 There will always be a range from small to big cars due to tastes and needs, but theÂ authentic unique and special looks and identification towards the car will play a bigger role. Because â€œbeauty stems from the truthâ€. 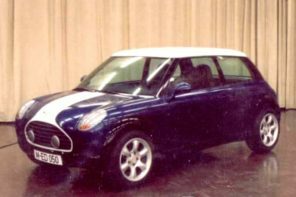 MF:: I know you may not be able to answer this but I have to ask anyway, what’s the best idea that we never saw from MINI Design? GH:: In the design process out of 100 ideas, 99 ideas are rejected. That’s a matter of a designer’s life.Â So many things are shelved and documented in the dark hard discs of servers.Â But in contrary you must always have one idea more than needed.Â We at MINI DESIGN had the chance to show more to the public than probably will be produced, and more than other brands and companies are willing to show so we are lucky. Because we had the chance our concept cars are full of ideas and details that most don’t have. So many in fact that most were even not published and discussed. 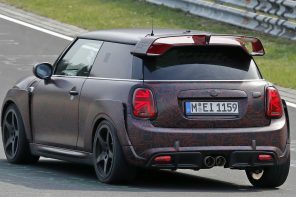 MF:: What’s your favorite car design of all time? GH:: VOLVO 1800 ES. 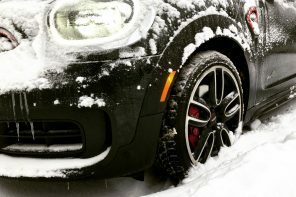 Unique in brand, character, concept Â and style. 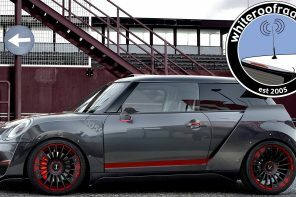 It was the inspiration (for me) for the R55 MINI CLUBMANâ€¦ a true shooting-brake. 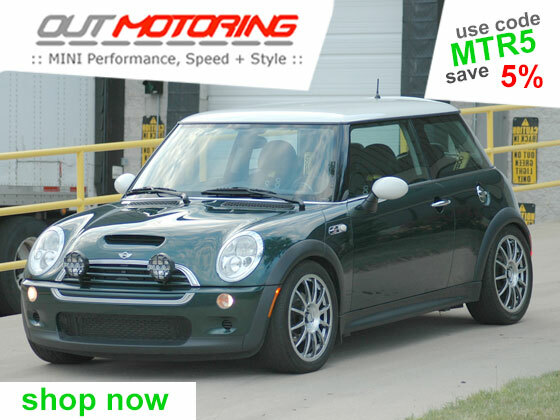 MF:: Are you leaving with a MINI? 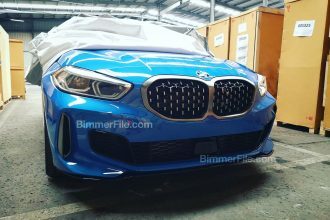 If so what model? If not, what would you buy with your own money? 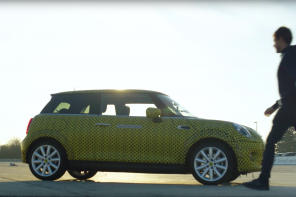 GH:: I am leaving with MINI in my heart, and in my complicated patchwork family. 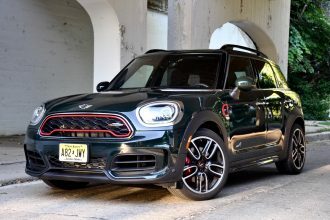 There is a 2005 MINI R53 Park Lane (in black) on my son’s side andÂ a 2010 R55 Clubman diesel in dark-silver/silver on my daughter’s side. 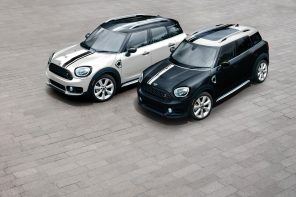 I myself will receive a R60 MINI COUNTRYMAN COOPER S in March 2011 (black/black/black) and I will take homeÂ my other company carÂ a BMW 330 D convertible.Â As you know, in my garage are still sitting two 1977/79 volkswagen beetle convertibles. One I bought in 1979 new when I was a student at the design department at Volkswagen in Wolfsburg. The other oneÂ I saved out of the hands of my elder brother to keep it in the family. 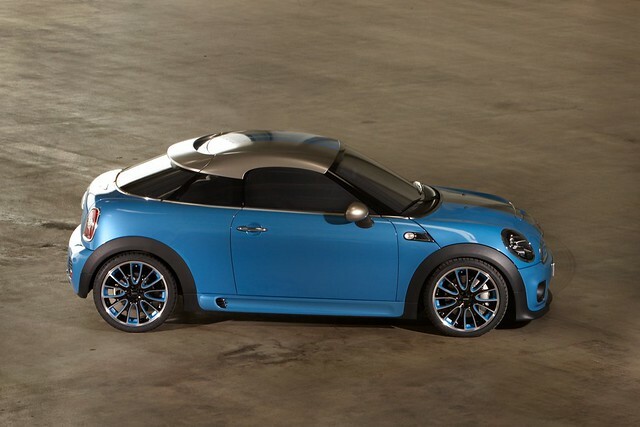 At the moment I am planning to order (with my own money) the first MINI Roadster to be produced. 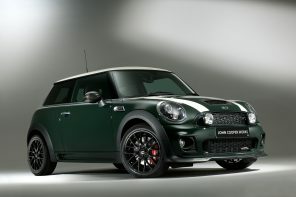 I pushed and designed this project when I started at MINI in 2001 and it will be on the road in early 2012. Almost two years after I have left MINI.Â This fact shows alone, how longÂ the process isÂ to getÂ your goal materialized. But persistence pays off.Â IT WILL BE ON THE MARKET. And I will have one! 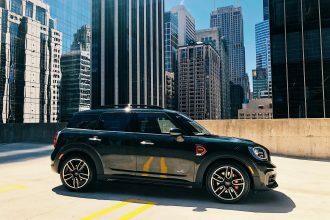 MF:: Speaking of leavingâ€¦ what do you have planned after MINI? 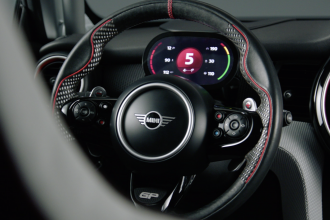 Should we expect to see you at another automaker soon? GH:: The MINI virus will not leave me and I always will be MINI, but thereÂ will be another adventure and challengeâ€¦â€¦â€¦â€¦â€¦an islandÂ a mountain or a brand. Let’s see. 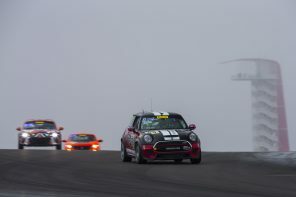 MF:: Finally we must ask – what would you call your biggest success while at MINI? What are you most proud of. 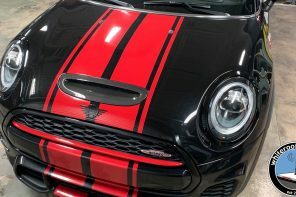 Without joining BMW/MINI in 2001 I wouldn’t have met the mother of my daughterÂ ALIX (Elisabeth Victoria Louise).Â ALIX is now 8 years old and a pure MINI maniac. And she of course is the â€SUNSHINE OF MY LIFEâ€.Â To have her, thatâ€™s the biggest success of the last decade and onwards. Even if the time on the job made it very difficult to keep up with a father’s responsibilities (sometimes is a big sin!!). And everybody having kids with a demanding and emotional profession knows that. So my biggest success is my daughter which I loveÂ more than anything. Cars on the other hand are objects and come only to life with the user and customer. 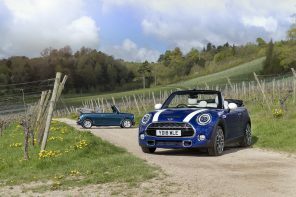 In the case of MINI very special and sympathetic ones. And getting this community and MINI family smiling and excited about the products I was responsible for is the second part of my success.Â That’s extraordinary. 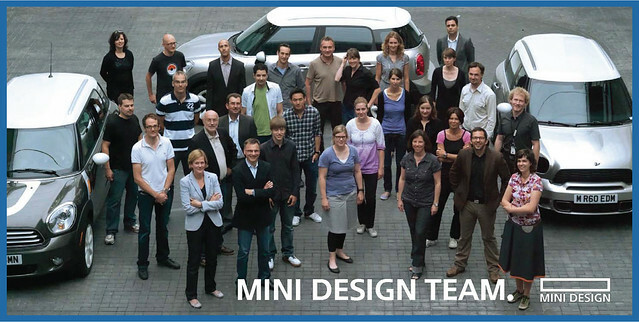 The third thing I am very much proud of is my MINI DESIGN TEAM. They went with me through hot and cold. I am not an easy person and I am a difficult boss, but they were with me to the very last minute. 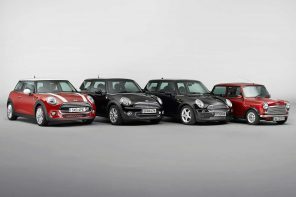 Only because of them we have unique and emotional MINIs out on the road for YOU. Â Thanks to my MINI DESIGN TEAM! MF:: Again thanks so much for giving us this opportunity. And on behalf of all MotoringFile readers around the world I’d like to sincerely wish you the best of luck in whatever you do going forward. 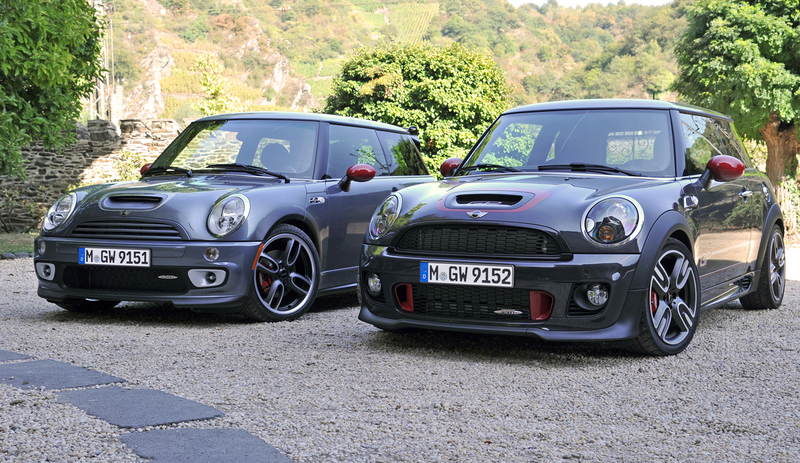 GH:: All the best to you and MotoringFile â€¦you did a lot for MINI. I will stay in touch. All the best to the readers ofÂ MotoringFile. They are sometimes tough but always open, enthusiastic and honestâ€¦And it’s HONESTY that counts.